Nissan has u-turned on a decision to build the new X-Trail model in Sunderland despite the Government having offered the car giant around £80m in inducements. A 2016 letter from business secretary Greg Clark, detailing the behind the scenes overtures made by minsters to secure Nissan's commitment to build certain models in Sunderland, has now been published. Despite the offer, which had appeared to secure production in the north, the Japanese manufacturer recently confirmed that the X-Trail (pictured) will now be made in solely Japan. In a letter to workers, it said the continuing Brexit uncertainty was not helping it 'plan for the future'. The £80m offer built on £40m of support provided in recent years. A £22m grant announcement for Nissan was also announced in September 2016. Update: A grant offer 'totalling £61m was made on 21 June 2018', Mr Clark confirmed. 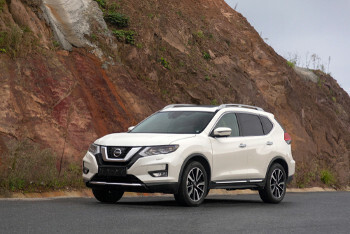 Nissan will now be forced to reapply for that cash, following its decision to drop X-Trail production in this country. Mr Clark told the Commons: 'In 2016, Nissan initially considered applying for a total of up to £80 million in support over nine years for skills training, research and development, and environmental improvements, and it was eventually awarded £61 million—around £7m a year over nine years. Ministers and Number 10 had previously played down the suggestion of financial offers to Nissan, after questions were raised by Labour leader Jeremy Corbyn. The 2016 letter had previously been kept secret due to commercial sensitivity; however that no longer applies. It stated: 'As a demonstration of the UK Government’s commitment, we are already working with your UK team on a package of support in areas such as skills, R&D and innovation. 'Work continues but I understand this could amount to additional support of up to £80m. You will understand of course that this figure will be subject to business cases being developed, which are independently assessed, and the usual processes of due diligence. There has also been millions of pounds of investment in surrounding infrastructure to support Nissan's plants in the area including £80m for a new bridge over the Wear, and Enterprise Zone extension for land adjacent to the Nissan plant. Nissan's Europe chairman, Gianluca de Ficchy, said the company always intended to start production of the X-Trail 4x4 in Japan but there had been a business case for bringing production to Europe as well. However it is now planning 'to optimise our investments and concentrate production in Kyushu (Japan), instead of adding another production site'. This does not mean there will be job losses at Sunderland but that hundreds of new jobs will not be created. 'Nissan is investing heavily in new technologies and powertrains for the next generation of vehicles in our Sunderland plant,' he said. He added that that Sunderland still had the firm's 'full confidence'. 'While we have taken this decision for business reasons, the continued uncertainty around the UK's future relationship with the EU is not helping companies like ours to plan for the future,' he added.